In most small enterprise, the customer interactions are carried out by the sales departments. Salesfundaa CRM software for sales and service focus more on the needs of the salespeople with features like contact management and calendars. The standard Salesfundaa CRM software e has limited features, and are primarily useful for businesses with a single sales department and a small number of salespeople. The economically viable Salesfundaa CRM software is appealing to SMBs as it is usually offered at a flat, per-user rate–allowing the business to add or remove users as needed. It comes with mobile App compatibility that appeals to the always on the go entrepreneur as he can monitor his business from the privacy of his home or car. Its biggest plus is that as the business grows it can be scaled to an enterprise CRM edition to enhance efficiency and productivity and meet the demand for a dynamic process. ERP for sales and service software can be substantially more expensive than the standard Salesfundaa CRM software. Much of the cost can be attributed to the time and effort involved in customizing the system. Over the last couple of years, the outsourcing industry has experienced significant growth. Many organizations choose to outsource non-core functions in order to achieve cost savings and gain access to specialized expertise. 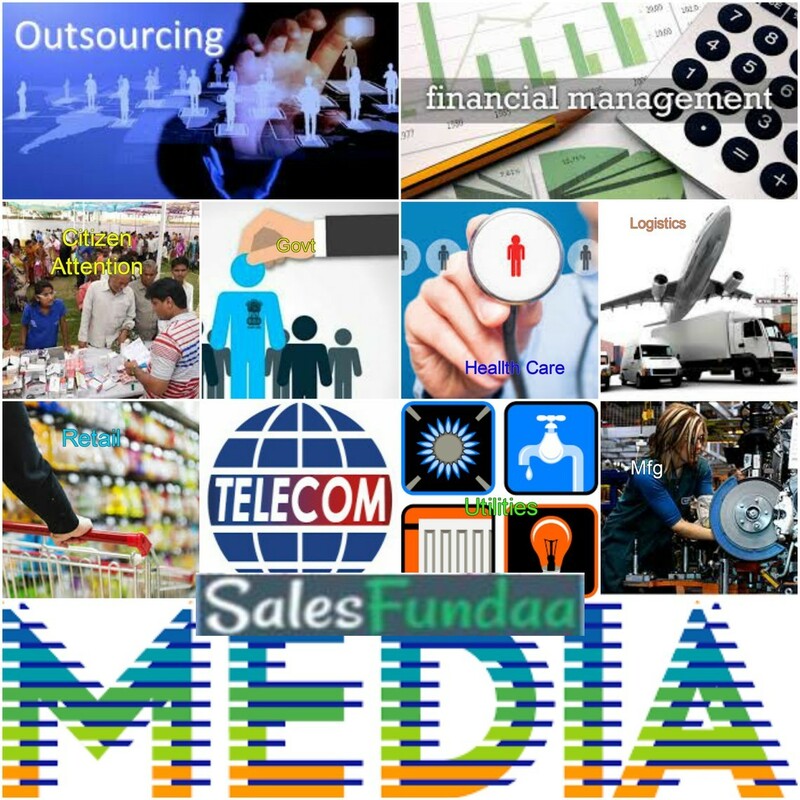 Outsourcers are one of the most demanding users of Salesfundaa CRM software. They need to provide customer care, telemarketing, debt collection or any other business application to companies from all industries, whether it is media, retail or banking. Salesfundaa CRM software fits the need of an Outsourcer business enterprise who needs a flexible, scalable and cost-effective software for its dynamic operation. Whatever be your business call us for a free demo on 9235 35 35 35 and we can give you your cost effective specific business solution.